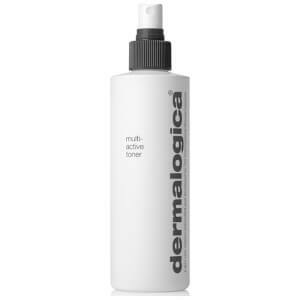 Dermalogica Multi–Active Toner is an ultra-light facial spritz that refreshes and hydrates the skin whilst smoothing the surface, leaving your skin perfectly prepared for further moisture absorption. 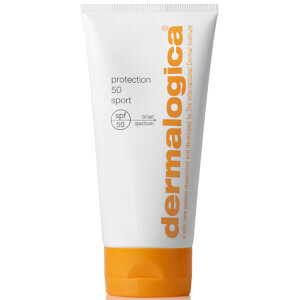 Keep your skin hydrated throughout the day with Dermalogica Multi-Active Toner. Featuring a refreshing blend of skin repairing aloe, moisture binding humectants and soothing lavender, balm mint and arnica, this composite helps even out porosity of skin to allow for optimal moisturizer absorption. This toner is fragrance free and is suitable for all skin types. Spritz onto your face, throat and upper chest evenly in an arc-like motion (keeping your eyes closed). 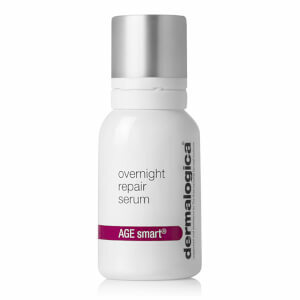 Gently press excess product into the skin. 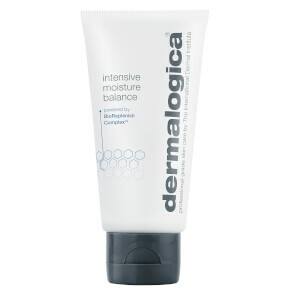 Skin should remain damp following application, allowing even absorption of prescribed Dermalogica products. Lavender Extract: Natural antiseptic, calms and purifies. Balm Mint and Aloe: Cools and softens the skin. Arnica and Cucumber: Helps condition the skin. Water (Aqua), Butylene Glycol, Aloe Barbadensis Leaf Juice, Lavandula Angustifolia (Lavender) Extract, Melissa Officinalis Leaf Extract, Sodium Lactate, Sodium PCA, Sorbitol, Proline, Propylene Glycol, Malva Sylvestris (Mallow) Flower/Leaf/Stem Extract, Hedera Helix (Ivy) Leaf/Stem Extract, Cucumis Sativus (Cucumber) Fruit Extract, Sambucus Nigra Flower Extract, Arnica Montana Flower Extract, Parietaria Officinalis Extract, Ricinoleth-40, Polysorbate 20, Methyl Gluceth-20, PEG-12 Dimethicone, Dipotassium Glycyrrhizate, Linalool, Polyquaternium-4, Disodium EDTA, Sodium Citrate, 1,2-Hexanediol, Caprylyl Glycol, Phenoxyethanol, Ethylhexylglycerin, and Lavandula Angustifolia (Lavender) Oil. I love this cleanser and use it daily - it feels very soothing on my skin and smells very natural. I have quite sensitive skin but this is perfect for me.